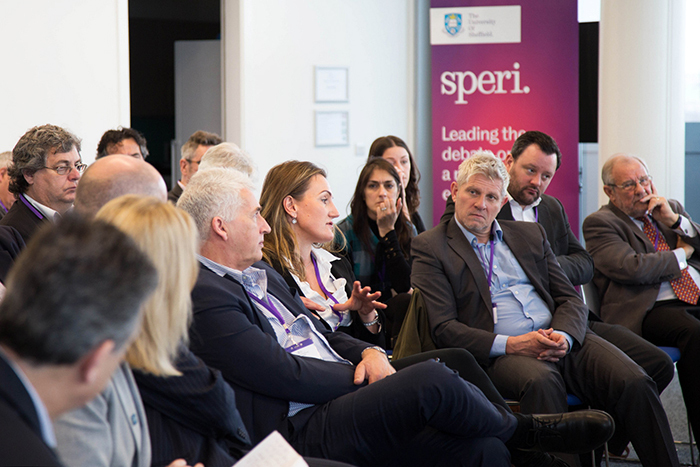 On Wednesday 29 March the Industrial Strategy Commission, which is led jointly by SPERI, held an evidence session at Factory 2050, part of the Advanced Manufacturing Research Centre in Sheffield. 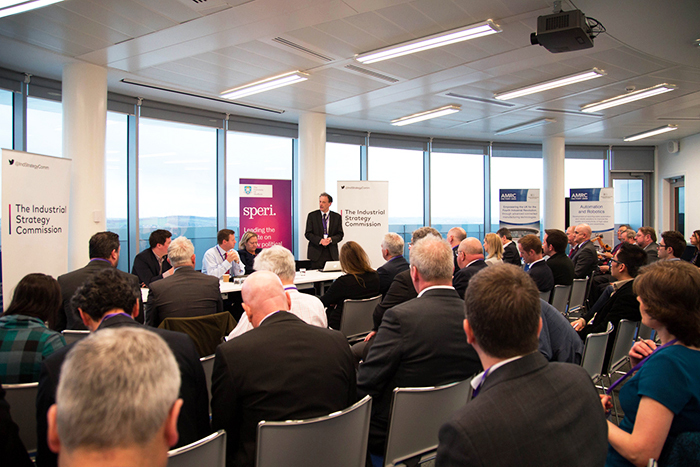 The session was attended by 50 representatives of businesses in Sheffield City Region and by academics and policymakers. Keynote speakers at the event were Julie Kenny CBE DL and Paul Houghton, two leading local business figures and board members of Sheffield City Region Local Enterprise Partnership. Paul and Julie shared their views on what a new industrial strategy should focus on. Paul argued that a new industrial strategy must have 4 key features: it must provide certainty for businesses; it must provide clarity for businesses; it must be entrepreneur-led and it must be focused on the needs and strengths of small and medium-sized enterprises (SMEs). Julie stressed the importance of long-term investment in order to help SMEs grow and how she believes devolution is vital to ensuring a new industrial strategy is a success. A wide ranging discussion then followed and attendees shared their views and ideas about what a new industrial strategy should focus on. Amongst others, the themes discussed included: how best to ensure new devolved powers are used to support industrial strategy aims; the opportunities and risks presented by Brexit; how to encourage a long-term investment mindset; how to improve procurement in the public and private sector to increase competition and value; the skills and investment needs of SMEs; the opportunities to improve health and social care by utilising the expertise of medical technology companies. 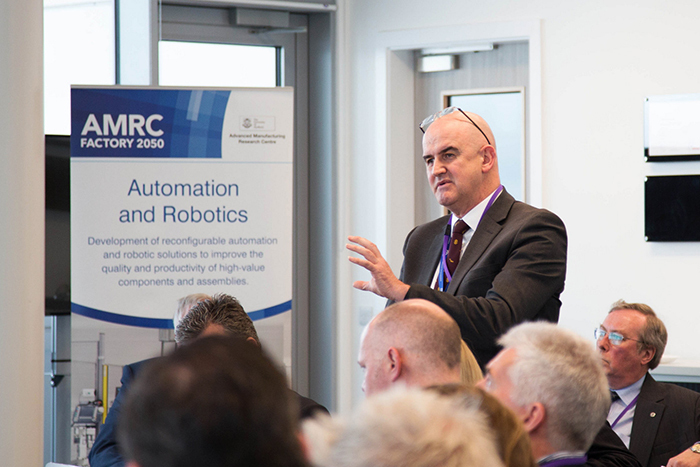 The event at the AMRC was just one of a series of Events|News, meetings and evidence sessions that the Commission is holding in the coming weeks. These Events|News will help to inform the Commission’s work and engage with the public, policymakers and key industry stakeholders. Find out more about upcoming evidence sessions and how you can attend. The next event is in Manchester on 4 April and will focus on health and social care. All of the ideas and comments from the evidence session at the AMRC will be considered by the Commissioners and used to inform the Commission’s recommendations and analysis. Details of how to submit evidence to the Commission are available here. The submission deadline is 2nd May 2017. 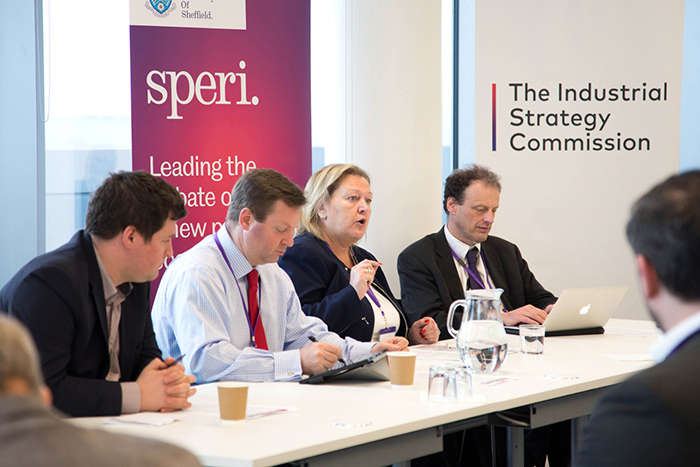 The Industrial Strategy Commission is led jointly by SPERI and policy@manchester. It is an authoritative inquiry into the development of a new, long-term industrial strategy for the UK. Dr Craig Berry, Deputy Director of SPERI, and Professor Richard Jones, SPERI Associate Fellow and Professor of Physics and former Pro-Vice-Chancellor for Research and Innovation, are members of the Commission team. Tom Hunt, Policy Research Officer at SPERI, is managing the Commission’s work.